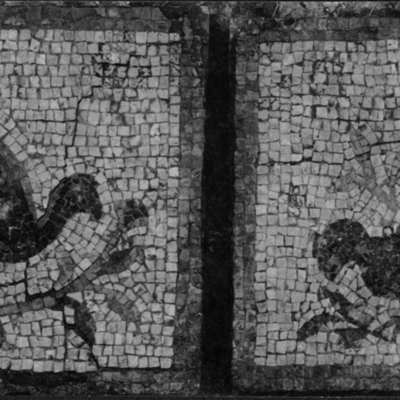 Mosaic panels C & D showing birds raised from Room 9. 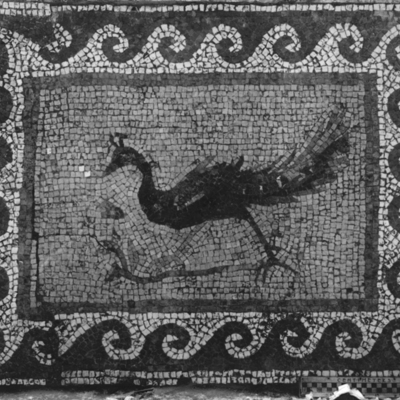 Small mosaic panel with a peacock raised from Room 9. 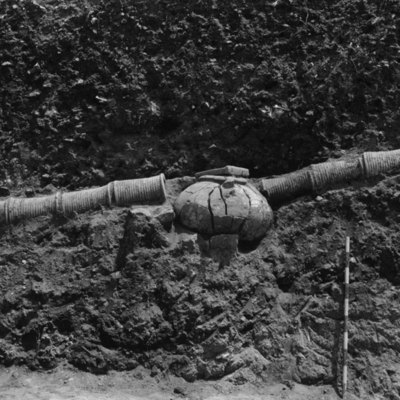 Detail of pipe over Room 9. 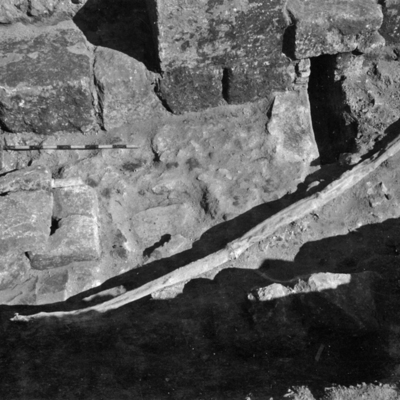 Detail of lead pipe in front of Room 9. 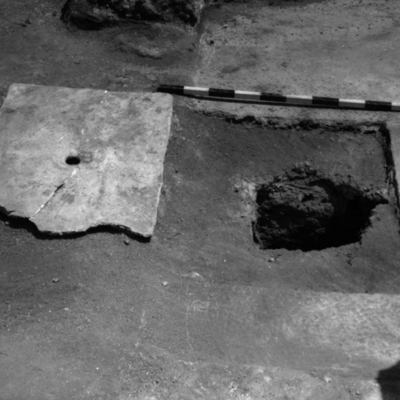 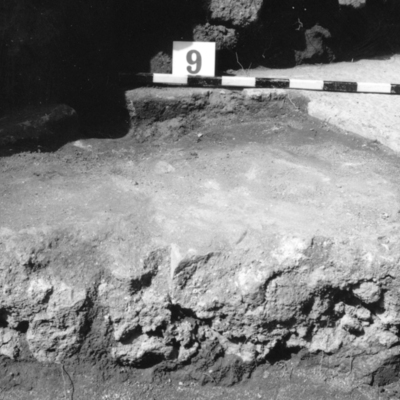 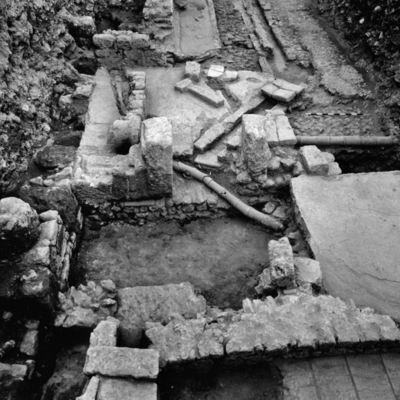 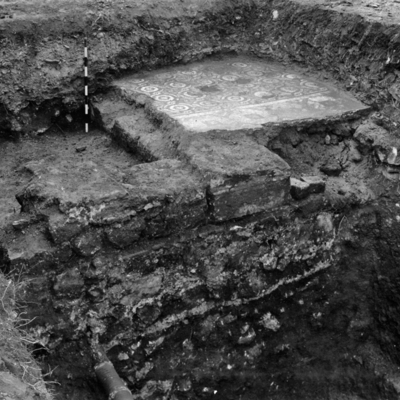 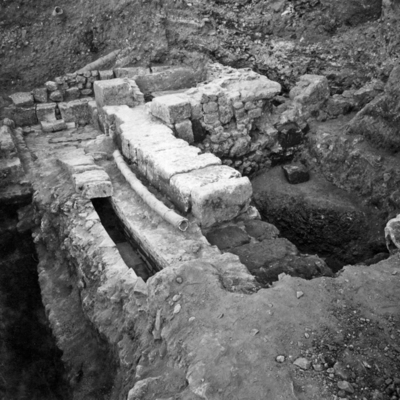 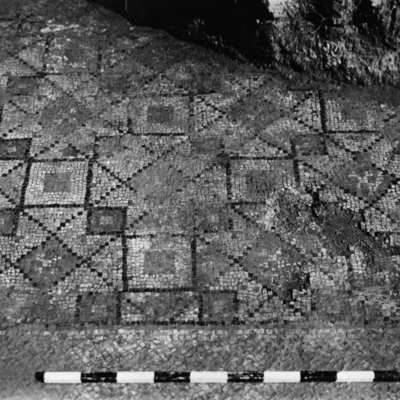 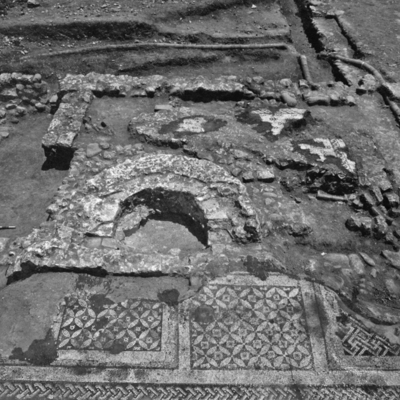 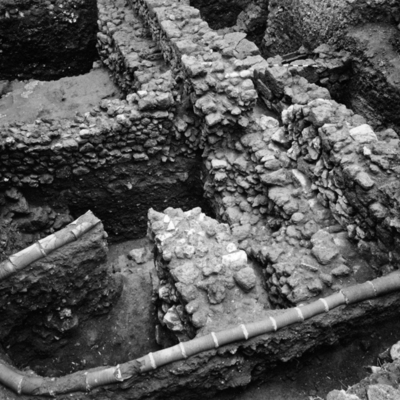 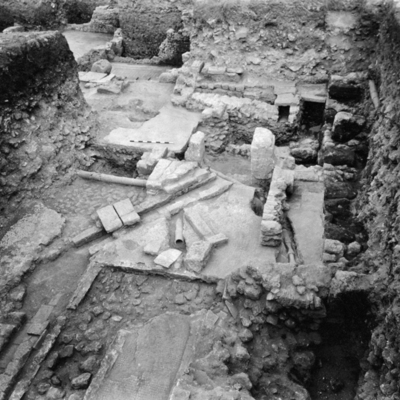 View of excavations in Room 9. 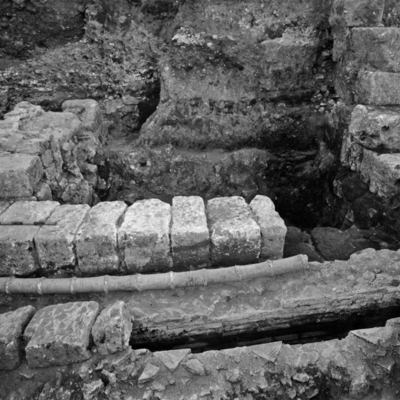 Detail of drain in Room 9. 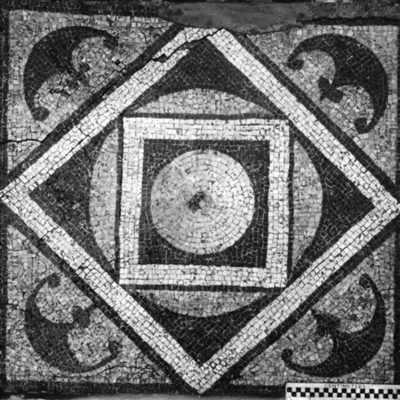 Raised panel D from Room 9 geometric square with shields. 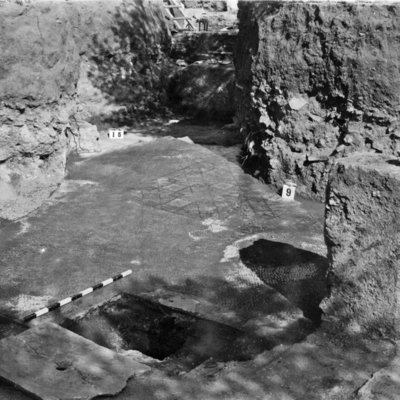 General view of sub-rooms 6 7 8 & 9.